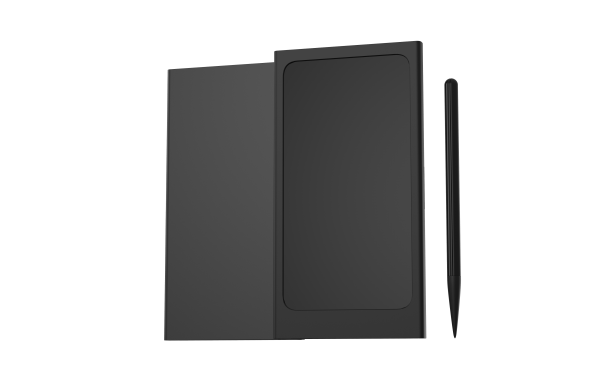 Extraordinary & Revolutionary 3 in 1 E-Writer Tablet, Power Bank & Wireless Charger. Stay paperless, wireless and charged! Say goodbye to paper and phone power shortages. √ A highly compact E-writer tablet with a quality E-ink screen. √ A genuine and durable wireless charging case. √ A huge and long lasting 10000mAh mobile power bank. All in a handy 9.5mm device! Keep Writing Creatively – When inspiration calls, you can now capture it anywhere and anytime. Keep In Touch – 10000mAh power bank in 9.5mm body. Stay Wireless – A durable wireless charger for fast charging. 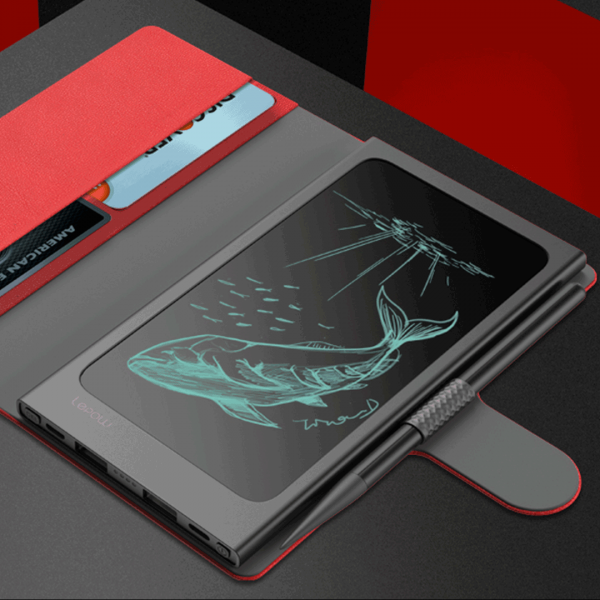 E-ink Tablet – Write comfortably without being interrupted on the smooth e-ink screen. 10000mAh Power Bank – Multitask endlessly with this massive power capacity. Wireless Charger – Charge your devices with 3.0 quick charge wireless feature. 100,000 Pages – With a DEL button, you will never run out of pages. Pressure Sensing Technology – With this advanced technology, write without delay or restriction. 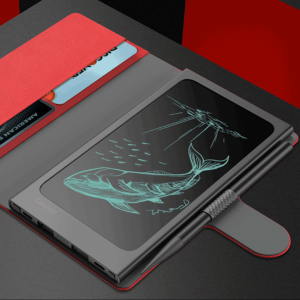 9.5mm Ultra-Portable – Carry the thin and portable device with ease on the go. 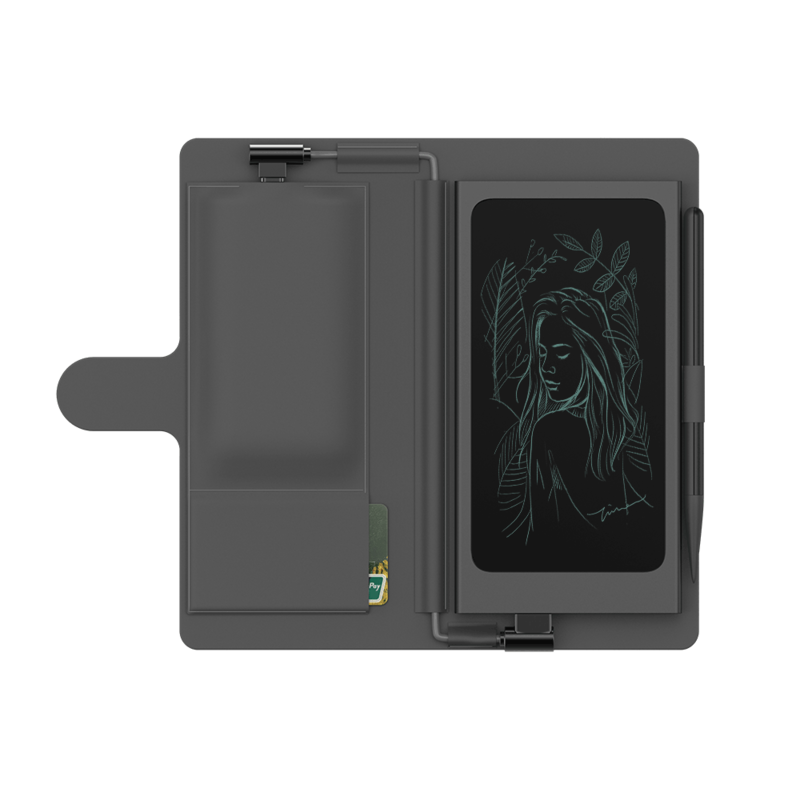 E-ink Screen – Like ink on paper. For those who love handwriting. Memomate is professionally developed and designed by writing enthusiasts and paper and pen experts. We managed to make writing on the screen feel the same as writing directly on paper. With the aid of the stylus pen, you can write fluidly on the e-ink screen and highlight texts easily. You can write smoothly without lagging or disruption. Also, the e-ink screen won’t make your eyes feel tired. Besides, it is suitable for taking note and making to-do list. Talking on the phone, you can take quick notes of important information with Memomate e-writer. Pressure Sensing Technology – Sensitive, precise and no latent. Easily Erase Notes – No more running out of paper. Memomate is ideally equipped with a DEL button. The great feature that helps you delete anything or everything so you can endlessly use the tablet without obstruction. However, without touching on the DEL button, you don’t have to worry about your records being deleted as everything will still be intact! Never Runs Out of Power – Designed for long-time writing. Save and Share Your Work With Ease – The productivity of the cloud. 10000mAh Battery – Take charge of two devices at once. 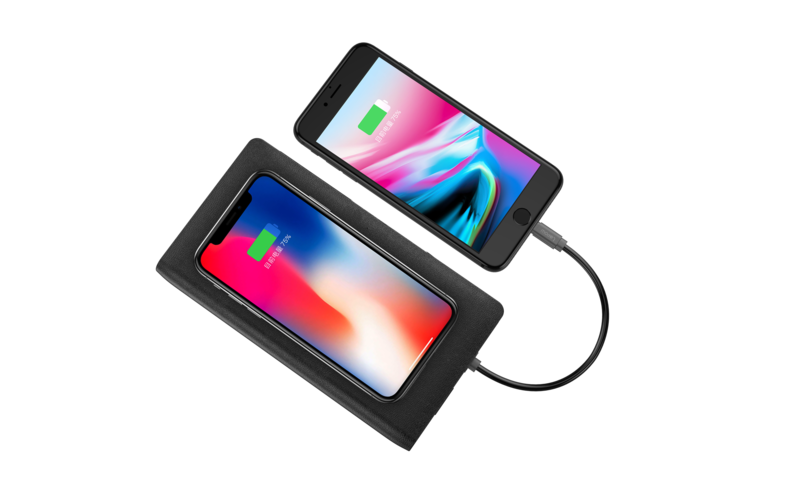 With Pass-Through Charging Technology – Fast wireless charger case. A protection case is included in the package box to prevent scratches and keep the device neat. It has a smooth texture and is easy to clean. 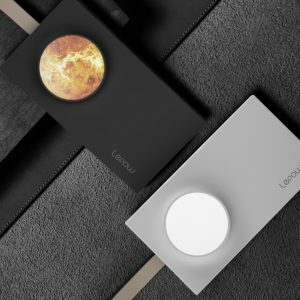 Spots a wireless charging technology for Qi phones and devices. It’s a perfect wireless charging pad on your desk because it can charge your devices and recharge itself simultaneously. We perfectly understand that not everyone has a Qi phone, so we have two options for you. A case with a wireless charging function and a normal case. We care about your preferences! Superior Quality – Durability, longevity and safety. Always Have Power and Innovation in Your Pocket – Forget about carrying all those things.